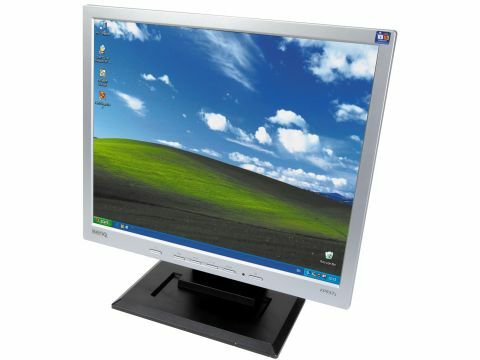 Notorious for its avant-garde monitor designs, BenQ has adopted a more business-like approach for the FP937s. Pure and simple in its appearance, this screen is almost dull by comparison, with a rectangular base unit and straightforward row of control buttons along the front of the lower edge. The no-frills approach is reinforced by the lack of built-in speakers or any pivot or tilt facilities. Reflecting falling costs, the BenQ is almost £200 cheaper to buy than it was a few months ago and its core specifications are still impressive. For example, it has both analogue and digital video inputs, respectable maximum brightness and contrast figures and a fast response time of 12ms. In our tests, using a range of setups and calibration screens and test charts, supplied by the DisplayMate Multimedia Edition program (www.displaymate.com) the BenQ performed well throughout. Initially, the auto-tune feature brought the picture into perfect alignment without any unwanted video attributes. Tonal range was also very good, with all transitions in the greyscale being clearly visible.